Eat. Live. Laugh. and sometimes shop! 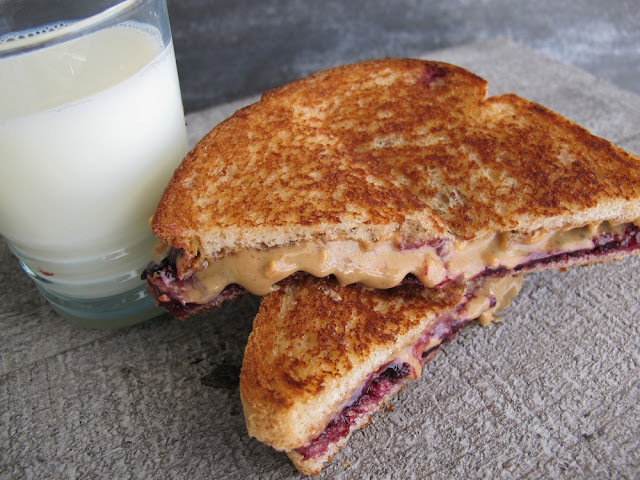 : Grilled PB&J. Are you scratching your head like me and asking: "Why didn't I think of that?!" Plain jane cold sandwiches simply will not do with these winter winds a blowin'. But, this, well I'm pretty sure it will warm the heart and soul of all who partake. Photo and recipe via Everyday Occasions.